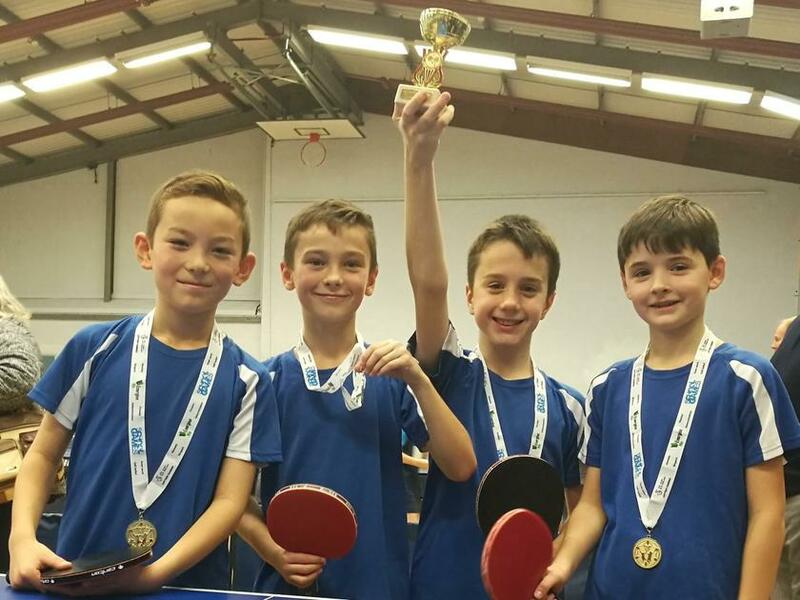 A huge congratulations to the Boy's Under 11 Table Tennis team who were crowned champions of Hampshire on Sunday!! After winning the Basingstoke event in October the boys traveled to Southampton to take on schools from across the county. They were placed in a group along with two other schools and won both of their group matches 8-0 and 6-2. This moved them onto the final where they played against a team from the New Forest. The boy's played some excellent table tennis and won the match 7-1 and so won the tournament. This is the second consecutive year the school has won the Hampshire U11 Table Tennis competition and the boys will now travel to London on Saturday 19th January to compete in the Zone finals against schools from across the South East. We wish them good luck in the next round!